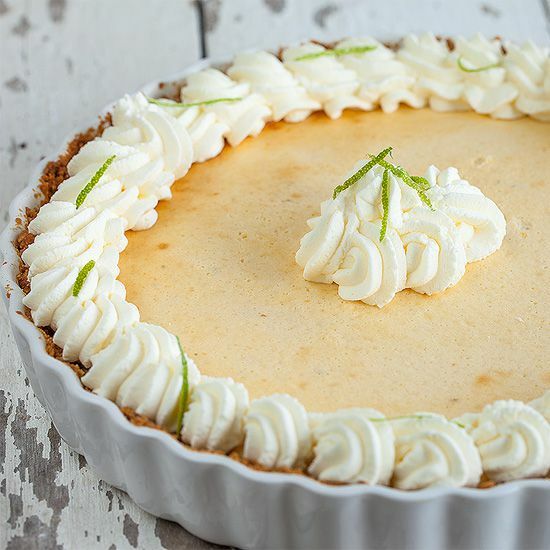 Refreshing and easy to make key lime pie, everyone's favorite pie! Perfect balanced sweet and sour is made possible by adding sweet condensed milk, lovely! BRUSH the pie form with butter and set aside. 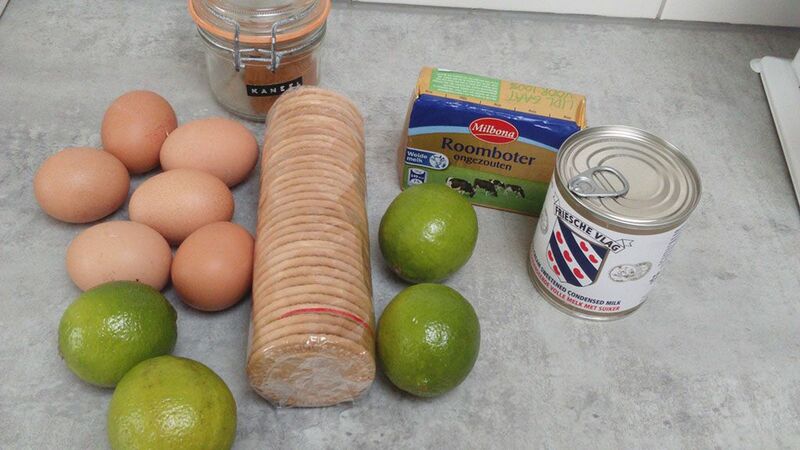 CRUSH the tea biscuits with a rolling-pin or use your food processor to do the work for you. Add a teaspoon of ground cinnamon to the cookie crumbs. Melt the butter and mix into the biscuits crumbs. Divide the mixture evenly over the bottom and sides of the pie form, pressing it down using your hands. PLACE in the refrigerator until the crust is firm enough. Create the lime zest and squeeze out the juice of all the limes. PRE-HEAT the oven to 175 degrees celsius or 350 degrees fahrenheit. BEAT the egg whites until they form stiff peaks and set aside. WHISK the egg yolks for a few minutes, until they look white and then add the sweet condensed milk. Also add the lime juice and zest, but safe a little lime zest for garnish later on. Carefully fold in the beaten egg whites and make sure you got a smooth mixture and carefully pour the mixture onto the cookie crumbs crust. 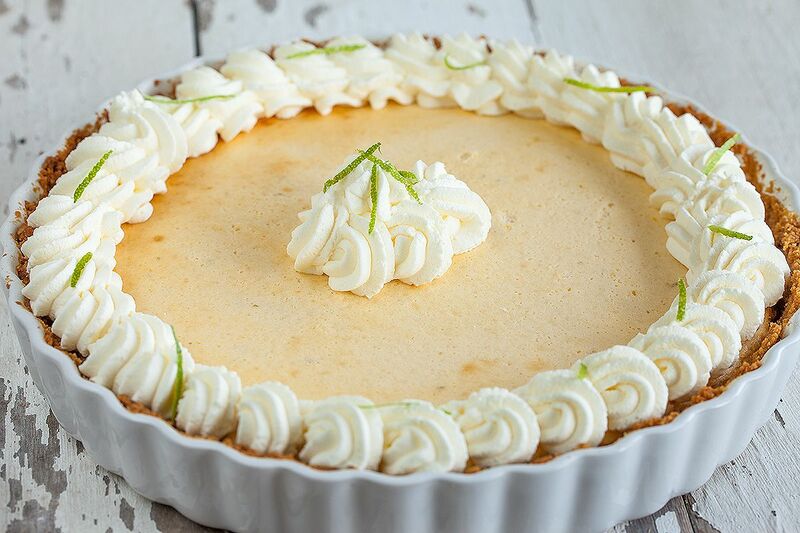 PLACE the key lime pie in the center of your oven for about 20 minutes. Let the pie cool off completely and refrigerate for the best result. 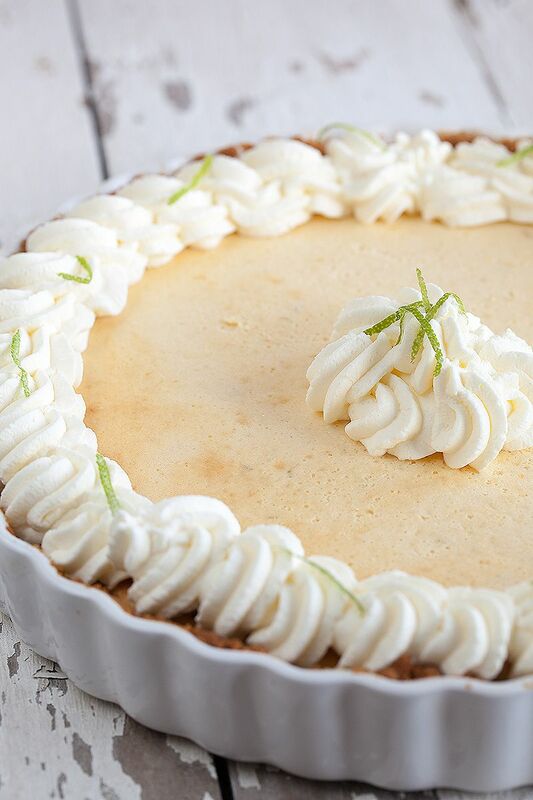 Garnish with whipped cream or beaten egg whites and lime zest. This pie can be made easily a few days before you would like to serve it, because it can be refrigerated up to 3 days!